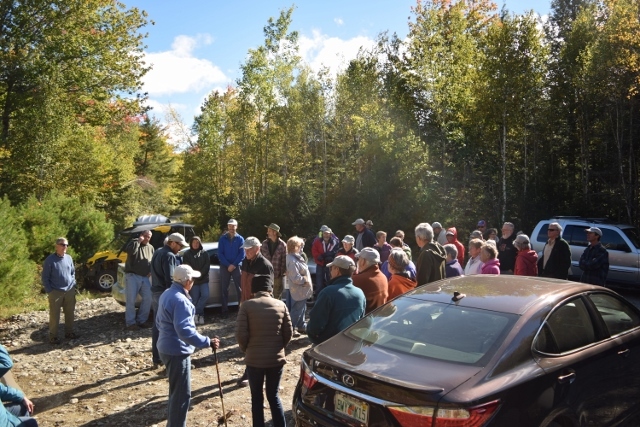 More than 50 enthusiastic hikers joined us in celebration of the Grand Opening of FBC's Mariaville Falls Preserve on Saturday, October 3. It was a beautiful crisp and cool fall morning and as a result of the rain earlier in the week, the dramatic stair-step falls were roaring with high, fast-moving water. As I greeted hikers while waiting for the introduction to begin, I heard stories from some who remembered coming to the falls as children. Others, even those local to the area, had never even known the falls, or now the preserve, were there. 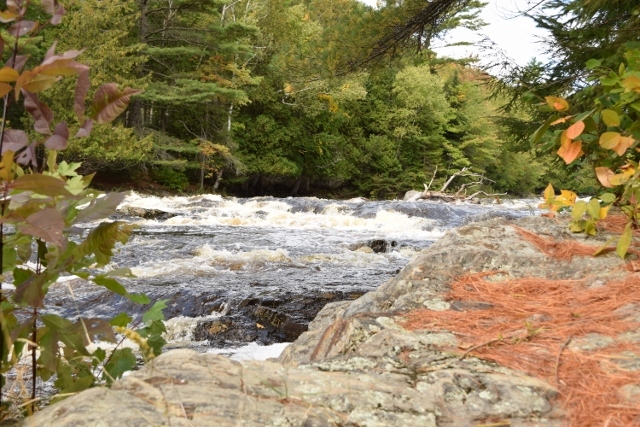 Mariaville Falls is a scenic, off-the-beaten-path place to enjoy a hike or simply to sit along the banks of the West Branch of the Union River and enjoy the wild, undeveloped river as it flows by. In the early 1800’s, William Bingham of Philadelphia established a thriving village at Mariaville Falls. There is no longer any trace of the dam, the two timber mills, the tannery or the boardinghouse and homes that once comprised a village of fifty families. More about the history of Mariaville is included in a couple of FBC's archived newsletters, the Fall 2012 and Spring 2014 issues, which can be found here. Staff and board members of FBC are so pleased that this special place will continue to be an accessible resource to the community - for those returning with children or grandchildren and newcomers alike! If you have not yet been, I encourage you to check out the preserve before winter arrives. Mariaville Falls Preserve is located about 20 miles north of Ellsworth, directions can be found here. 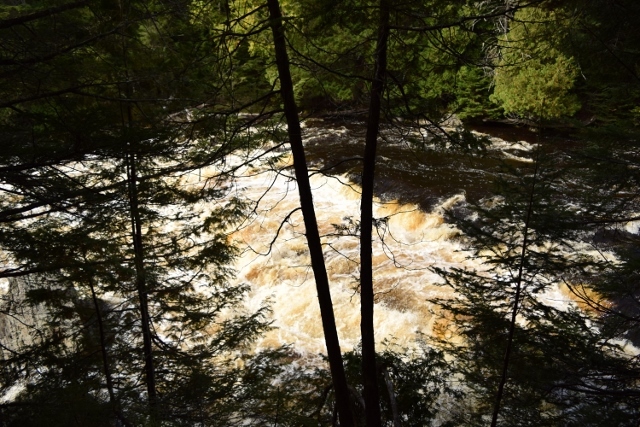 The preserve includes 1.5 miles of hiking trails through the woods and along the West Branch of the Union River. For a more detailed overview of the preserve and hiking trails, check out Bangor Daily News reporter Aislinn Sarnacki's recent article featuring the preserve in her One Minute Hike series. 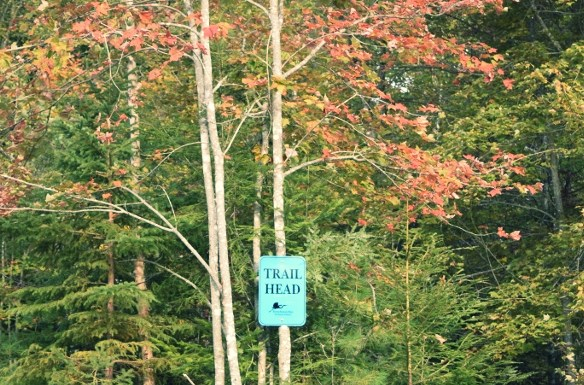 This is the third year of the Downeast Double Trouble Trail Race Challenge. The Sullivan race takes place on our Long Ledges and Baker Hill preserves trails. The race begins at Sumner High School on Route 1 in Sullivan. Click here for more information and to sign-up for the race. And, you can get a peek at the race route, here! The 6-person Maine Conservation Corps trail crew is currently working on breaking trail for the Schoodic Connector trail. As of last week, MCC trail crew leader, Ryan MacGlashing, reported that, "...approximately one mile of the projected 3.5 mile trail has been cut, cleared, surface prepped and is almost ready for eager feet!" 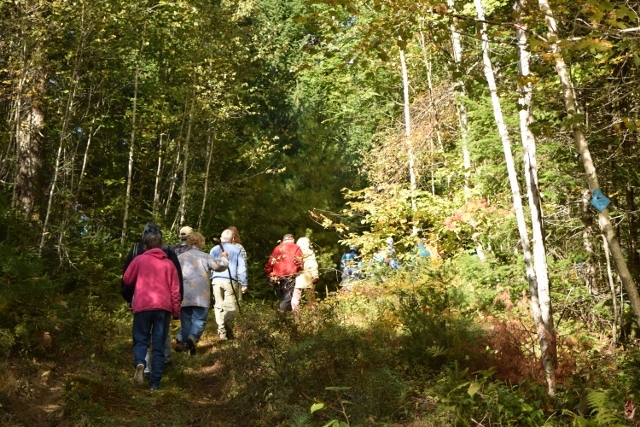 FBC participated in the Great Maine Outdoor Weekend on Sunday, September 27 with a group hike at Simon Trail in Lamoine, a .91-mile trail on privately owned preserved land. Twelve hikers participated in the event.